John Cena had the most nerve-wracking moment of his career on Sunday, April 2, when he popped the question to his longtime girlfriend, Nikki Bella, at WrestleMania 33. The wrestling duo had just defeated The Miz and his wife, Maryse, in a tag-team match when Cena got down on one knee in front of the 70,000 strong crowd. Watch the romantic moment in the video above! 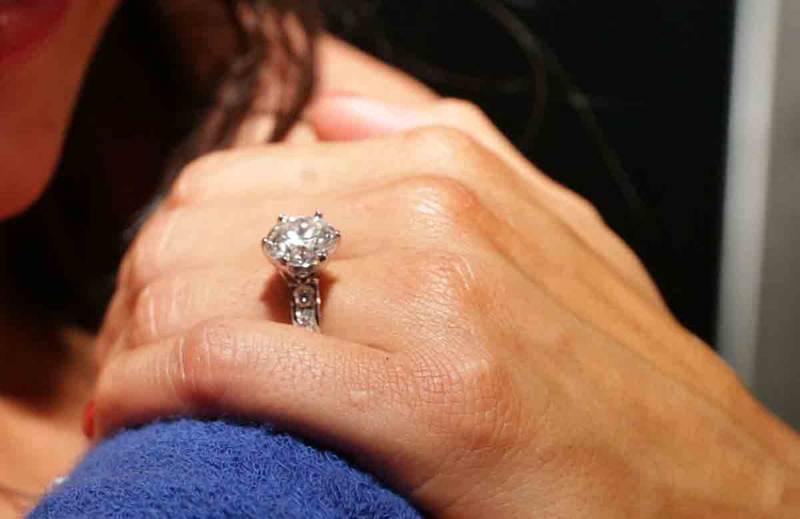 Bella, 33, immediately accepted his proposal, and the couple packed on the PDA with a passion-fueled kiss. Cena and Bella have been dating for almost five years, and in the run up to their match, their married opponents taunted them for not yet being engaged. Cena was married to Elizabeth Huberdeau from 2009 to 2012 and has expressed his reluctance to tie the knot again on many occasions. Bella previously dated fellow wrestler Dolph Ziggler.